Cool Candles offers bulk quantities of liquid paraffin oil candles and disposable fuel cells for the Australian hospitality market. Our affordable and efficient oil candles and lamps are available online to both retail and wholesale customers within Australia. If you are looking to provide your customers with clean, odourless lighting that offers all the ambience of real flame with none of the mess, our oil candles are the perfect solution! We also supply a range of compatible lamps and holders as well as accessories including wind diffusers, lighters and bulk liquid paraffin. 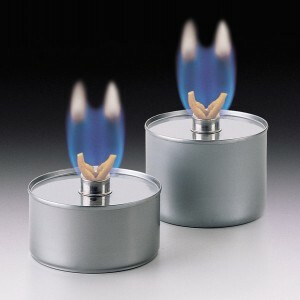 Liquid candles represent a convenient and cost-effective way to provide a special ambience in social venues. If you own a bar or restaurant, you know how much you can enhance their atmosphere through your choice of lighting. Candlelight is soft and has a natural flicker, with has an almost magical power to generate pleasant feelings within people. While customers may not consciously seek out candlelit premises, the appealing ambience of real flame lighting has a natural tendency to attract clientele. Among lighting products, real flame creates the best ambience by far. But sometimes the mess and waste created by real wax candles makes them undesirable for the busy venue operator. Liquid oil candles are the perfect solution! Oil candles offer a convenient source of beautiful, real flame candlelight - minus the mess. LED candles have come a long way, but they still can't live up to a real flame. For one thing, electronic 'flicker' algorithms tend to be too fast and/or too consistent, meaning they can become irritating if watched closely. They also can't reproduce the softness of real flame, typically leaving you to choose between 'harsh' or 'dull'. The plastic body is not a good look in clear glass lamps, so quality-conscious customers are further limited in their choice of decor. Unfortunately, LEDs are also subject to loss and theft. Especially for bars, where lamps go missing more often than restaurants, they can turn out to be more expensive than you intended! They may seem like the more efficient choice, but our brochure explains why the cost of ownership is also higher, by several man hours a day, for LED candles than for oil candles. For businesses, traditional wax candles can cause a mess and cost many employee hours in cleaning. This often makes wax candles the least friendly and the most costly option. 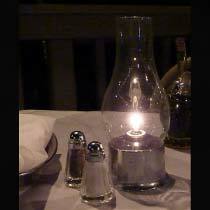 Disposable liquid paraffin fuel cells, or oil candles, are simple and easy in all aspects. Liquid candles are also odourless and user friendly, ideal for most quality-conscious hospitality environments. Our liquid oil candles look even better in one of our quality table lamps. 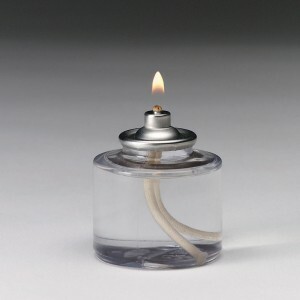 We provide candle lamps in all shapes, colours and sizes, so we have highlighted some of our favourite real flame candle lamps for use with liquid oil candles. What situation do they suit? Liquid paraffin oil candles are ideal for restaurants, hotels, weddings, functions, events, night-clubs, bars and even for the home. With a 'wind diffuser' system, you can even use our liquid oil candles and lamps outside, without worrying about the wind blowing them out. Please continue to browse our range for your next table centrepiece! We look forward to receiving your liquid candles order. 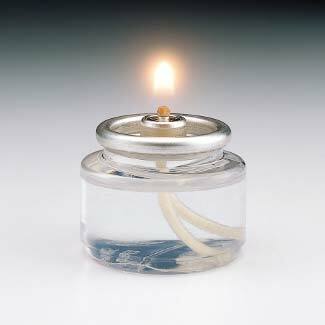 A disposable oil candle fuel cell just the size of a standard tealight. This liquid candle fits anywhere a tea light fits, but saves heaps of cleanup time compared to solid wax! The perfect solution for tealight-sized lamps in restaurants, clubs, bars and more. 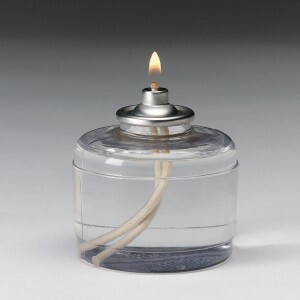 A handy votive-sized disposable oil candle fuel cell. 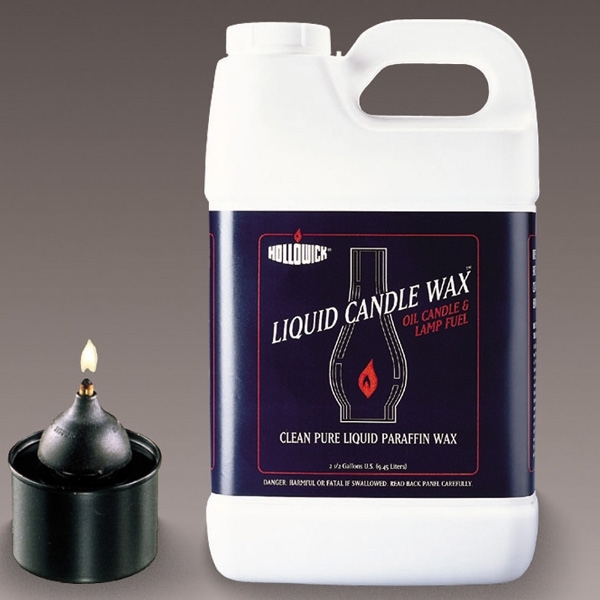 This liquid candle fits most table lamps and delivers up to 12 hours of light, with a fraction of the mess or cleanup of solid wax. Perfect for lighting your restaurant, bar, function centre or event with maximum efficiency and minimal fuss. 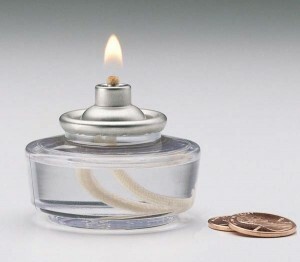 A petit disposable oil candle fuel cell designed for smaller, "mini" size table lamps. Ideal for restaurants, bars and other venues, this unit fits into smaller lamps to deliver over 26 hours of light with no messy wax or cleanup duty. Make the most of your space and your time! 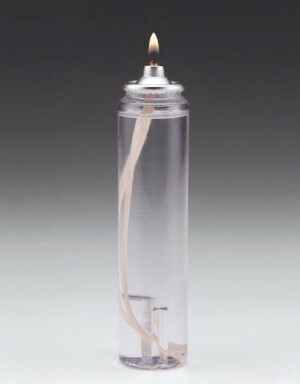 A special extra-tall liquid paraffin oil candle, designed to produce maximum light with the smallest possible footprint. With a tiny 35mm diameter, it's great for tall table lamps and narrow bases. Get the best out of unusually-shaped lamps, with no mess and no cleanup! 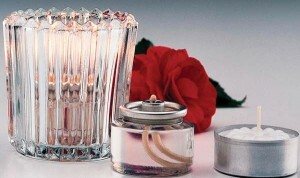 A special "low profile" disposable oil candle designed to enhance any standard-size table lamp. Despite its small size, this fuel cell still delivers 36 hours of light with no mess or fuss for your staff. The perfect choice for maximum ambience, minimum hassle! 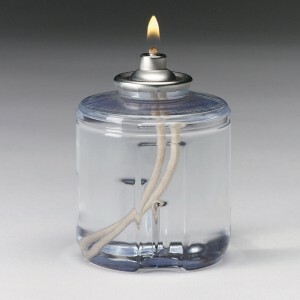 A convenient disposable oil candle fuel cell ideal for use in standard size table lamps. Perfect for restaurants, bars, and other venues or events. No messy wax or cleaning - maximise efficiency by minimising waste and effort! Hollowick "Liquid Candle Wax" oil candle & lamp fuel. Bulk liquid paraffin candle oil for use in refillable oil lamps, liquid candles and other liquid paraffin burners. Bulk pack of 9.45 litres provides well over 2,000 hours of clean, odourless ambience. That's less than 3 cents per hour! 6 Hour Safer Fuel for Buffet Chafing Dish applications. EZ638 at rear of photo. Adjustable patented wick system allows for High-heat(3hrs), Low(8hrs) or Standard heat(6 hrs) varying heat options supporting multiple applications and economical use of the very stable and safe fuel Diethylene Glycol. Fuel will not spontaneously combust as alcohol based fuels could do and will not evaporate so can be re-lit many times. The can does not get hot making it safe for your employees to handle. Burns cleaner than most competitors products. Great food safety due to burning hotter and longer than most competitors (SEE performance data). 4 Hour Safer Fuel for Buffet Chafing Dish applications. EZ425 at front of photo. Adjustable patented wick system allows for High heat (2 hrs), Low heat (5 hrs) or Standard heat (4 hrs). Varying heat options support multiple applications, and economical use of the very stable and safe fuel Diethylene Glycol. Fuel will not spontaneously combust (as alcohol-based fuels can) and will not evaporate, so it can be re-lit many times. The can does not get hot making it safe for your employees to handle. Burns cleaner than most competing products. Great food safety due to burning hotter and longer than most competitors (SEE performance data photo OR ASK FOR OUR BROCHURE).